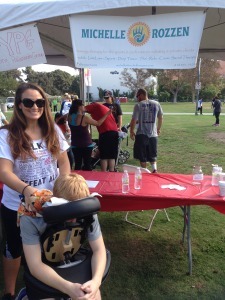 This past weekend I took part in the annual Walk to DeFeat ALS in Los Angeles, with The ALS Association Golden West Chapter. This was my 12th year participating in the ALS Walk, and it’s a very bittersweet day for my family. You can read about my connection with ALS on my previous blog here. On Sunday October 19th, at Exposition Park, near USC in downtown Los Angeles, I set up my massage booth. 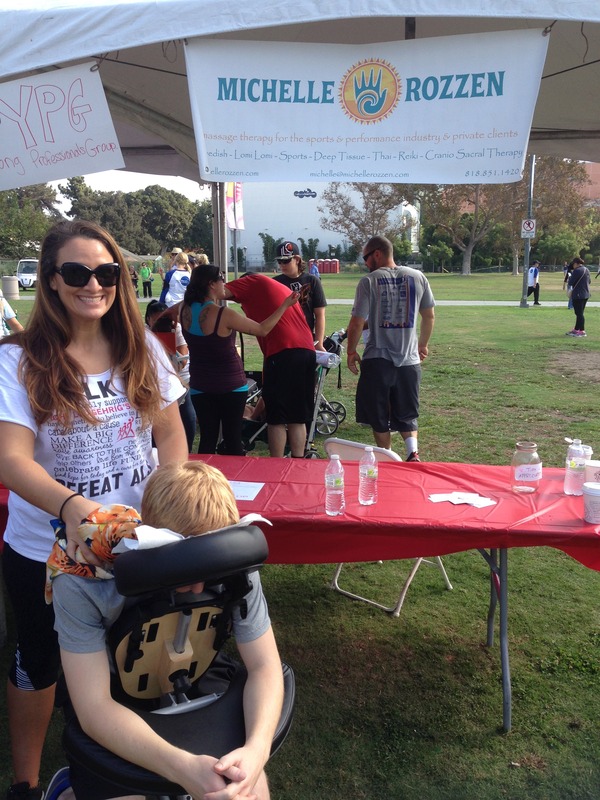 This was the third year providing massage at the ALS Walk, and I feel so honored to do so, as it’s very near and dear to my heart. 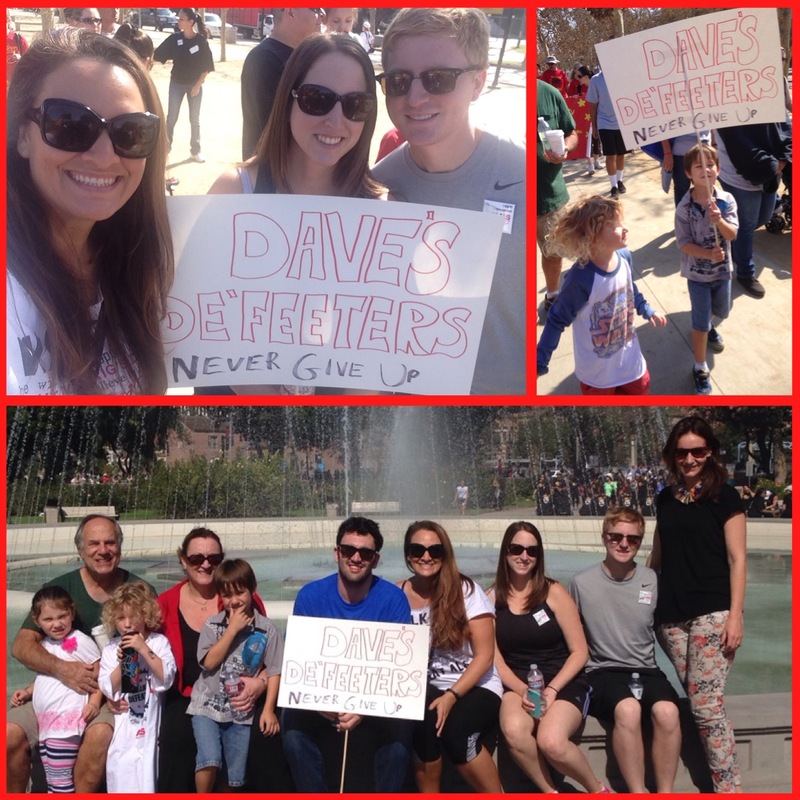 I’m so proud of my walk team, Dave’s DeFeeters because we have raised nearly $7,200. If you’d like to still donate, please visit: http://webgw.alsa.org/goto/davesdefeeters Thank you to everyone who has generously donated to my walk team. My family and I appreciate all of your support! This year the walkers doubled in size from last year’s event, with over 2,500 people in attendance, and The Golden West Chapter of the ALS Association raised over $634,000. Earlier this summer the ALS Ice Bucket Challenge was booming, raising over $21.7 million, and I’m sure it sparked more interest to join the walk and fight against ALS. 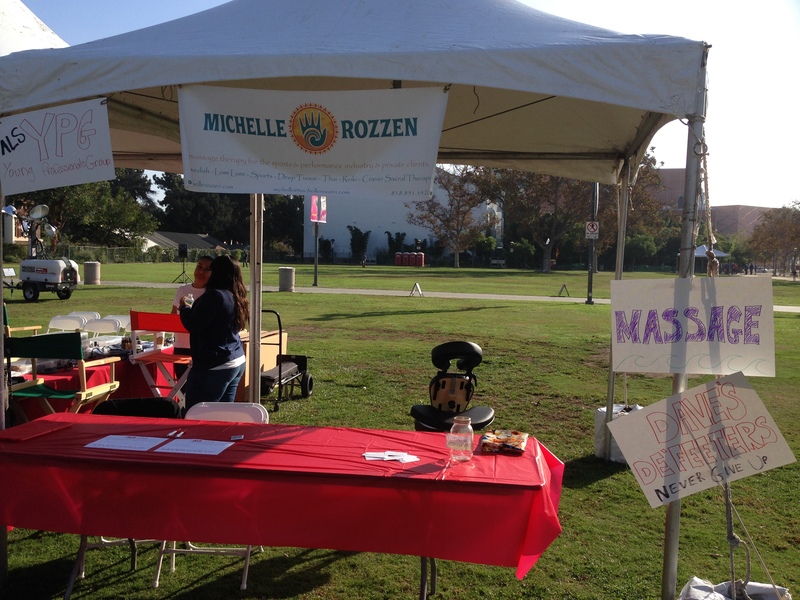 This year, there were not only more people at the walk but there were tons of media coverage, it was amazing! I will continue to raise ALS Awareness, and will forever be devoted to helping find a cure for ALS. Never Give Up will always be my motto!